Photos telling the Reeves Co. history. It lists colors, boxes, papers, pencils,etc . 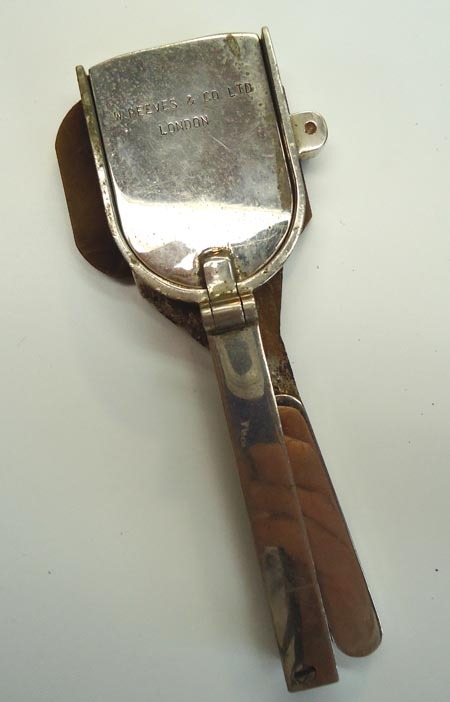 This is one of the oldest known to exist. 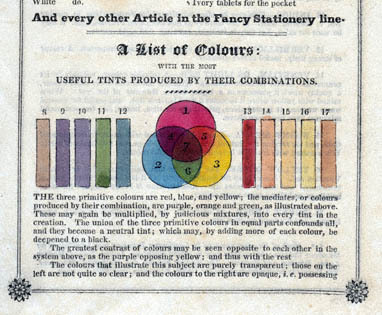 The Catalogue lists colors, boxes, papers, pencils,etc . 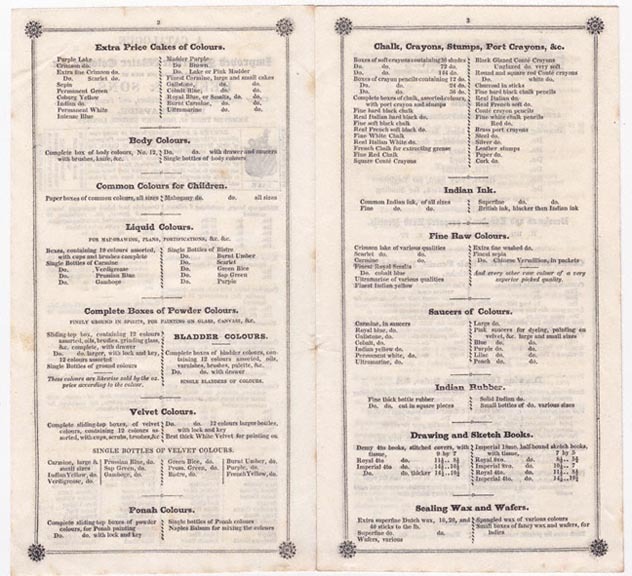 Only a few Catalogue this old are known to exist. 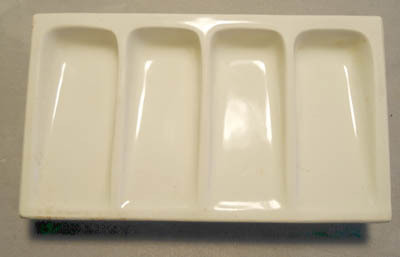 Photos appear different than actual size - see measurements. 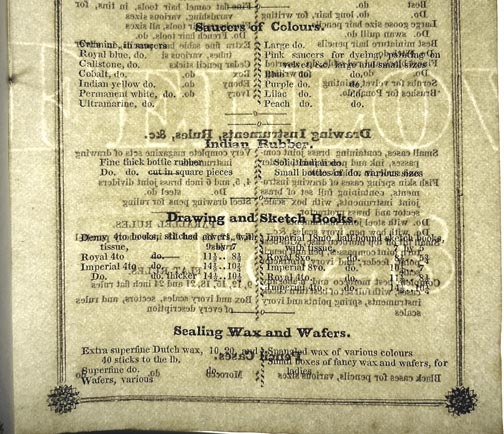 It is printed on fine wove paper folded & sewn in center . 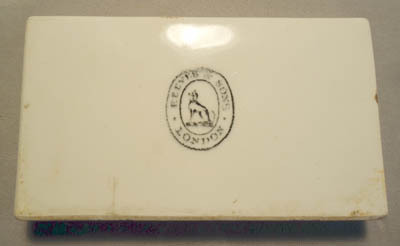 A partial watermark of "Fellows 1828"
Note the color on the label was probably later painted in by an artist. At this point the brothers were no longer in partnership and created separate businesses. 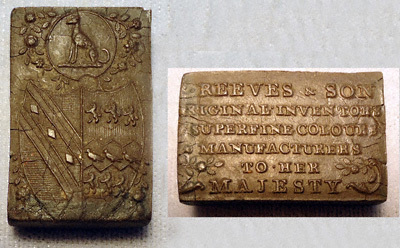 Later W Reeves partnered with Inwood see below. 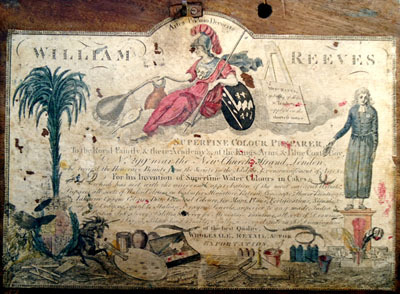 In April 1781 William and Thomas Reeves Were recognized by the Society for the encouragement of Arts, Manufactures & Commerce for the invention of the watercolor paint block. 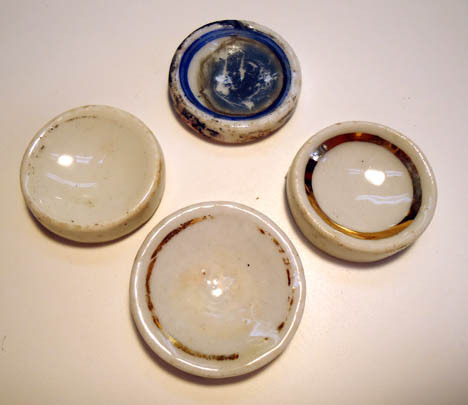 and placed in their boxes. 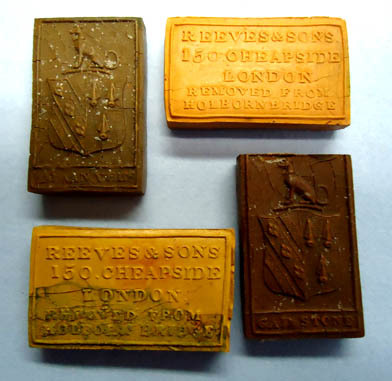 It is the Name of the company was altered on this reproduced label as it changed over the years as the brothers split into two parallel businesses and took on sons, partners and changed generations. 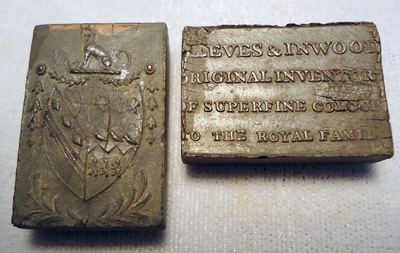 Also the address and the royal warrants were changed to match the times. 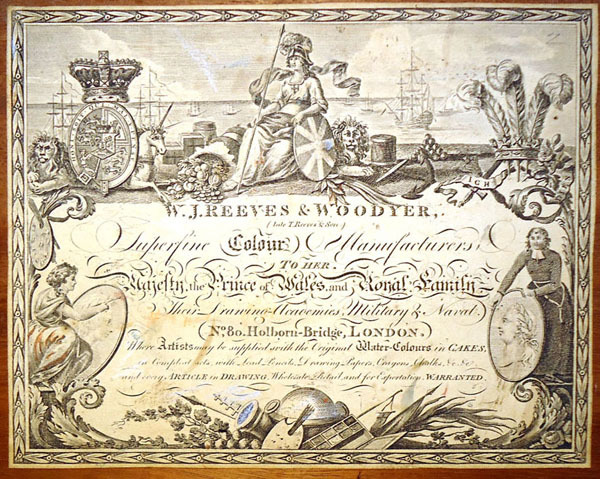 As in the Reeves & Inwood box it is the only trade card that appeared in the box. 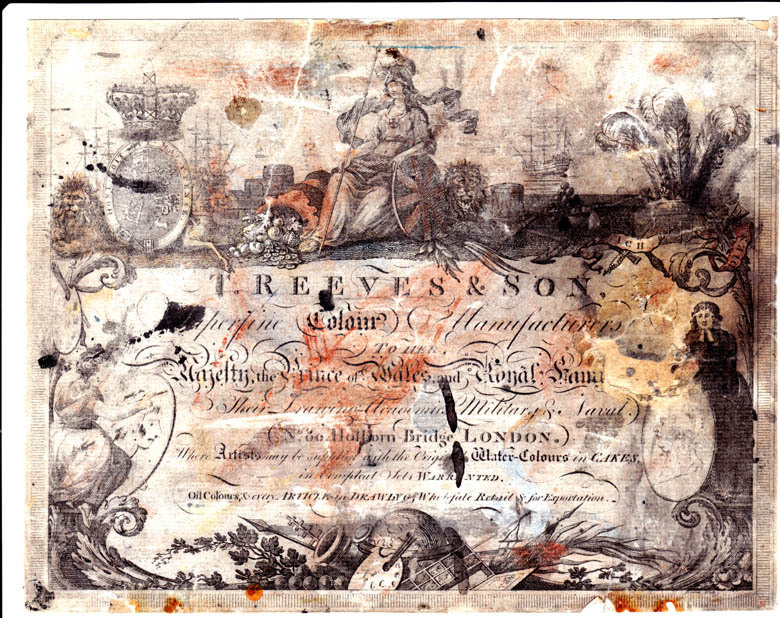 This note often confuses collectors with its early date, May 17 1781. 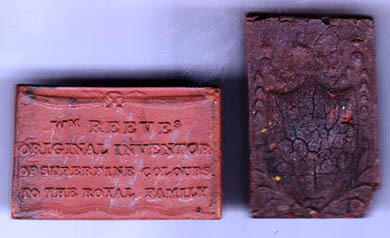 His son on this label was named W J Reeves (William James Reeves) whom carried on the business that became the Reeves co. that exists to date. 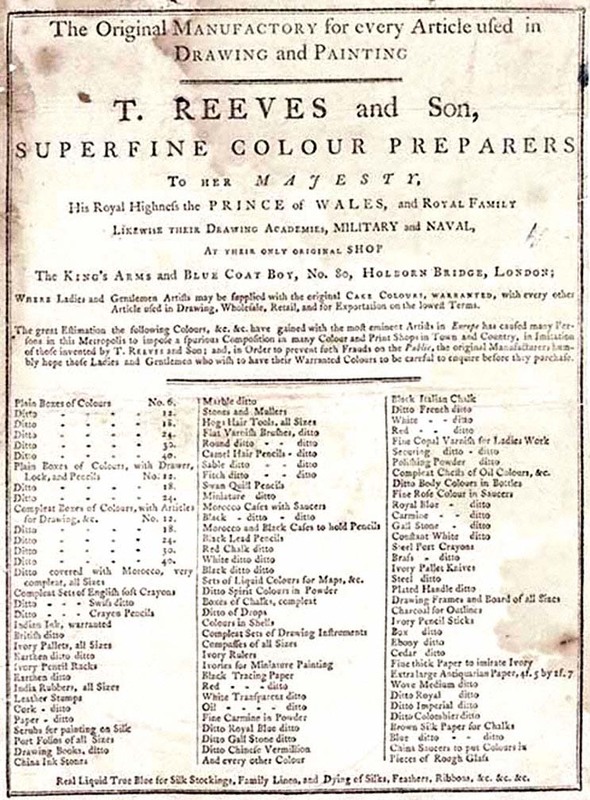 Date is partly due to the Prince Regent being listed. 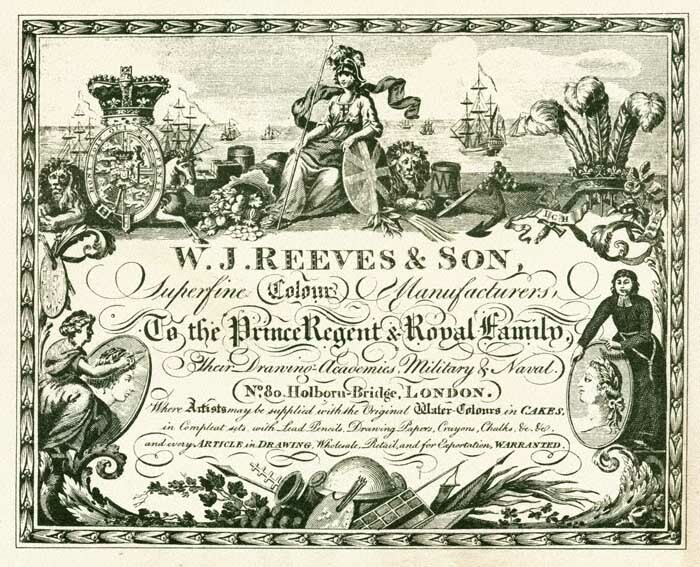 This label reflects WJ Reeves (son of Thomas) Partnering with his son. 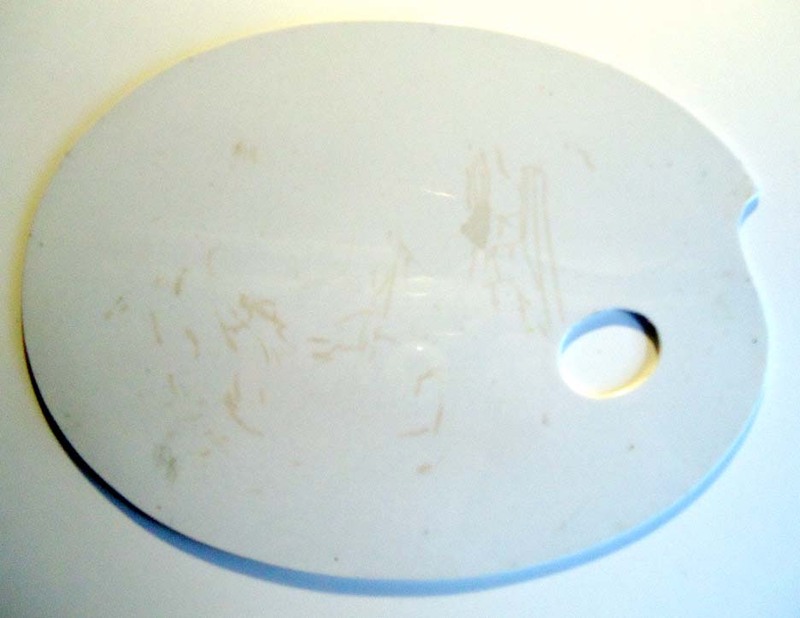 Below a small label found in paint boxes from around that time. his sons ran the business and produced this label. 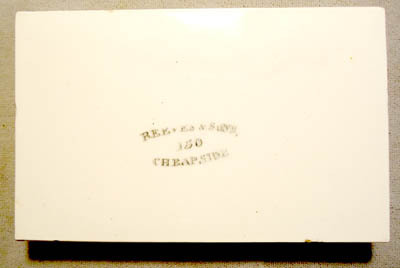 This box is later as the 113 Cheapside address reveals. 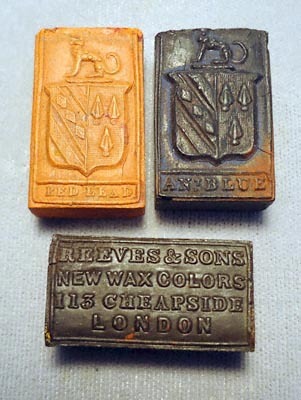 Note the mark on this palette shows Ltd. which is 1891 and on. 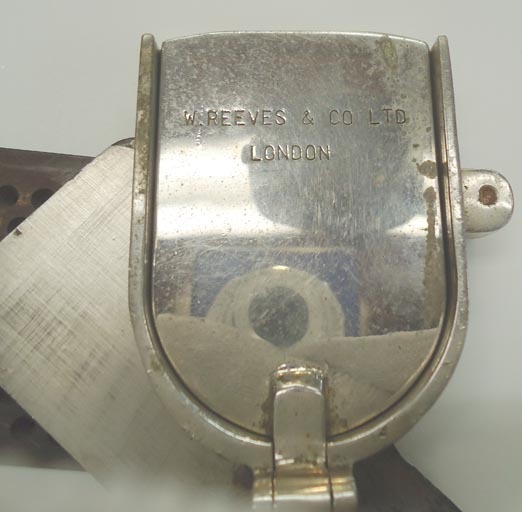 The Thomas Reeves branch of the family in 1891 became Reeves & Sons Ltd and later the Reeves. Co. that exists to date. 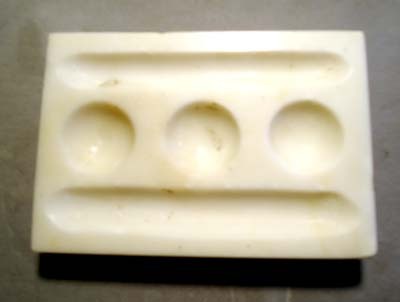 Was what they called wax actually glycerine or a water based wax? 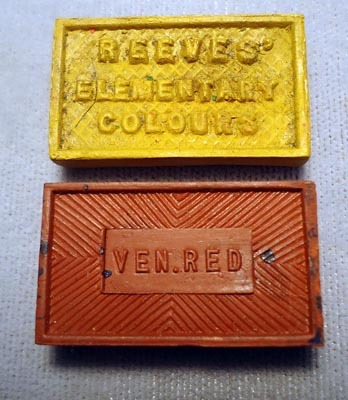 This paint block on the left has a misspelling "ReAves" of the original company REEves. 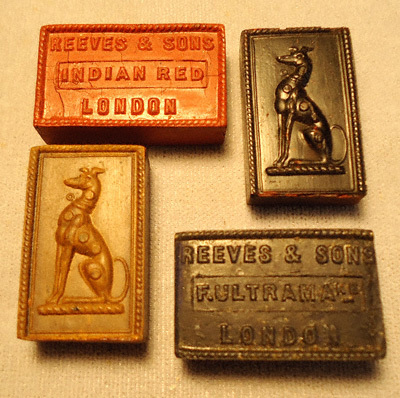 Oddly, the front design is somewhat similar to later original Reeves blocks dating 1790-1799 (below right). 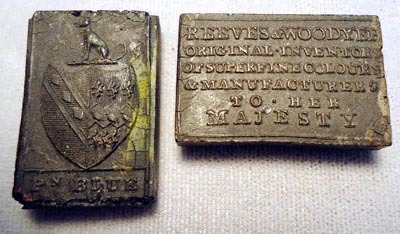 The block on left is also wider than original Reeves blocks. 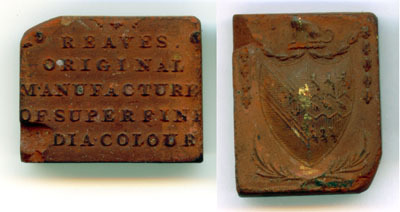 The variant block above was found in a British paint box from the 1780's by William Reeves along with other paint blocks from England, France and Germany. 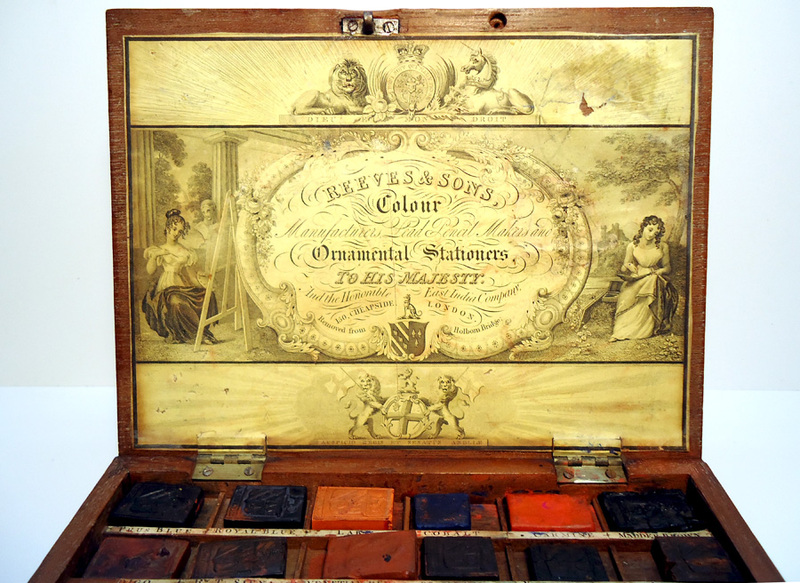 it seems to tell the story of having to resupply the British box with paint from other countries during the Revolutionary War and the War of 1812. 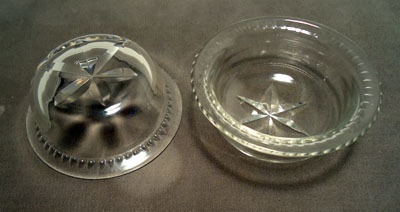 They are blown with a cut star design in the bottom. 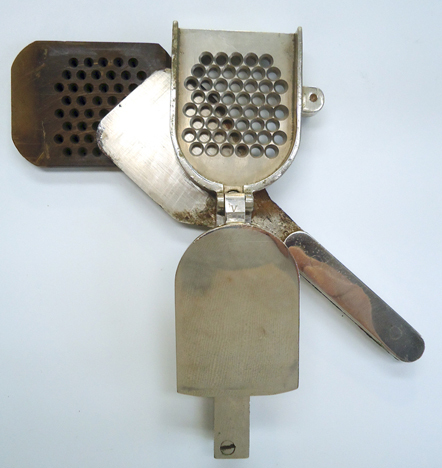 it is believed that they are original to the box. None have a makers mark. 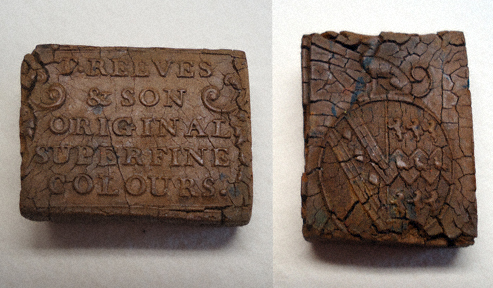 box 1784-1789. 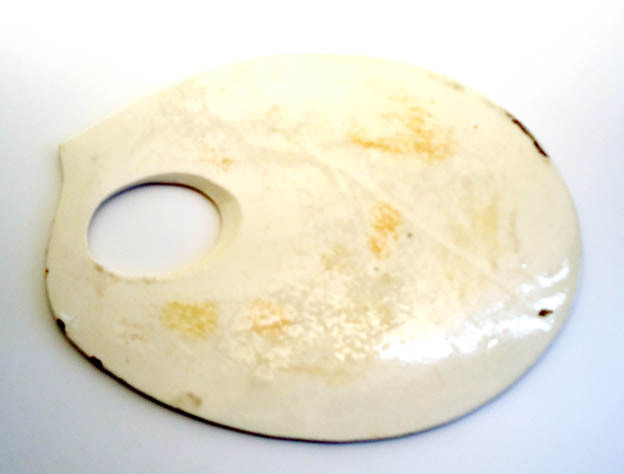 It is approximately 6 by 4 9/16 at its widest points. 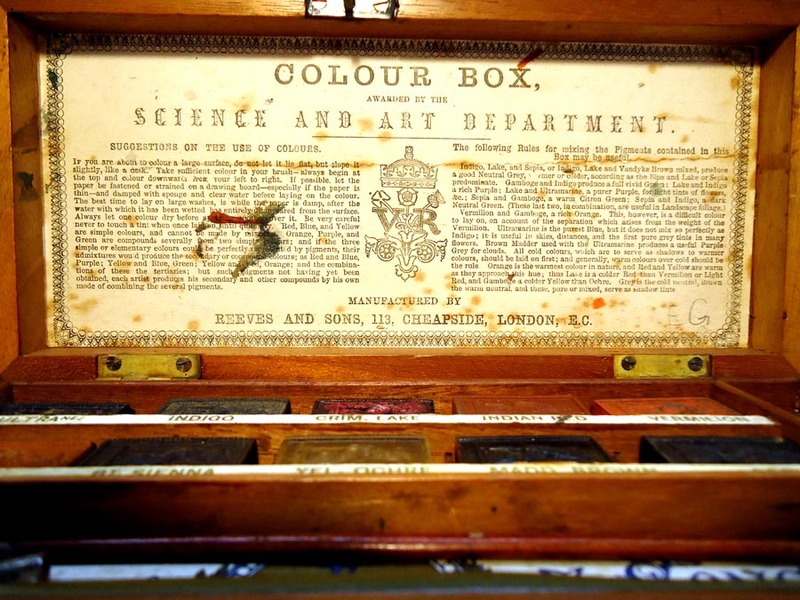 burnished to a dull finish by "working up" early pigments and or paint blocks which required extensive rubbing to work water into the paint,unlike the paints of the 1830's and later. 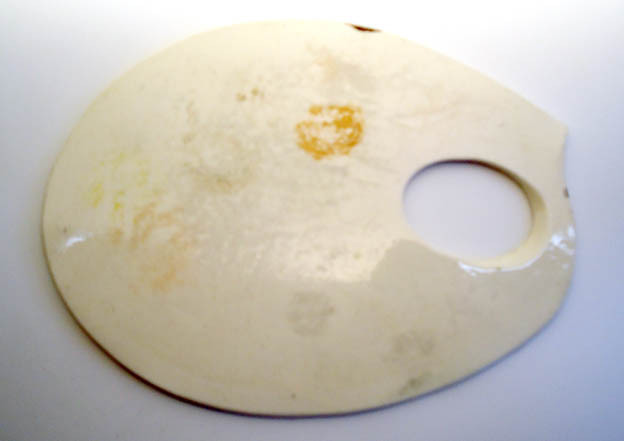 Cobalt and other colors are known to be quite abrasive to palettes and brushes. 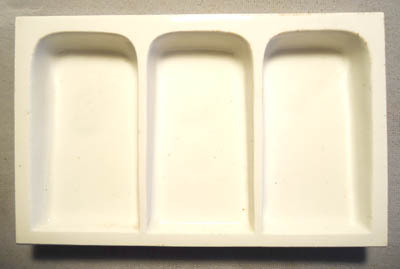 It fits the box well but there is no suppliers mark on it. 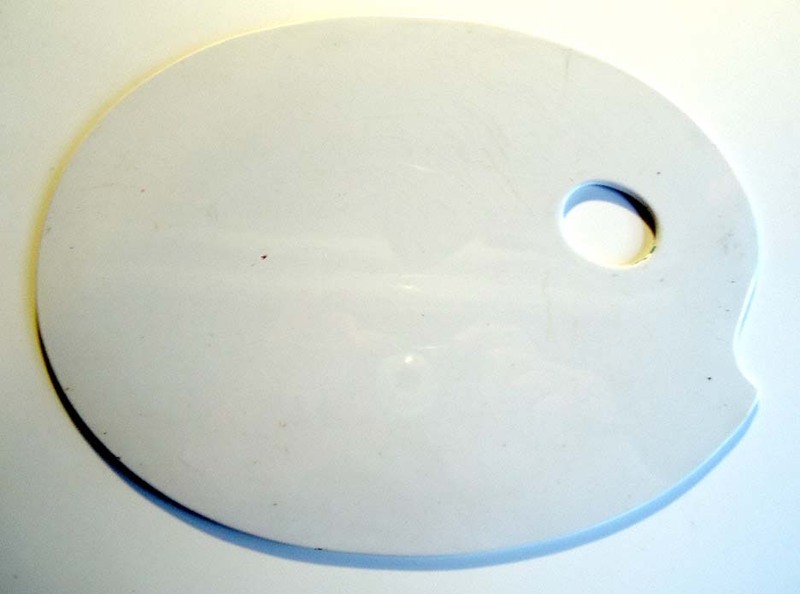 Slightly rough marble was good for earlier hard to work up paints . 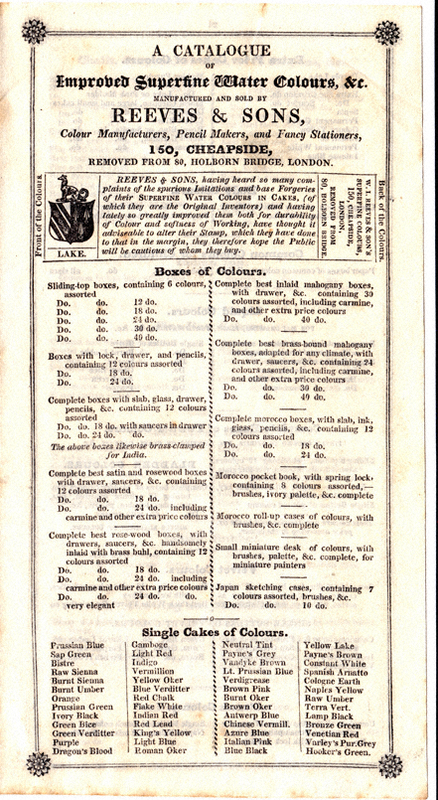 Later hydroscopic glycerine was added to the paint making the paint immensely more workable. 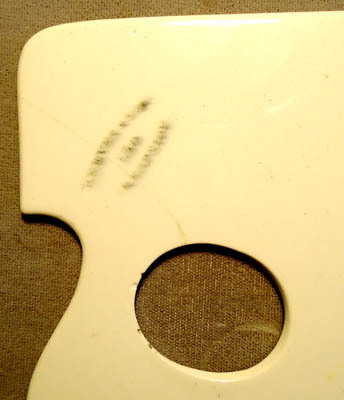 but there is no suppliers mark on it. 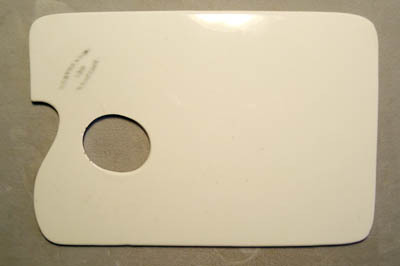 it is 10 1/8 inch by 7 3/4 inches at the widest points. The logo is particularly crisp and charming with the Greyhound mascot. 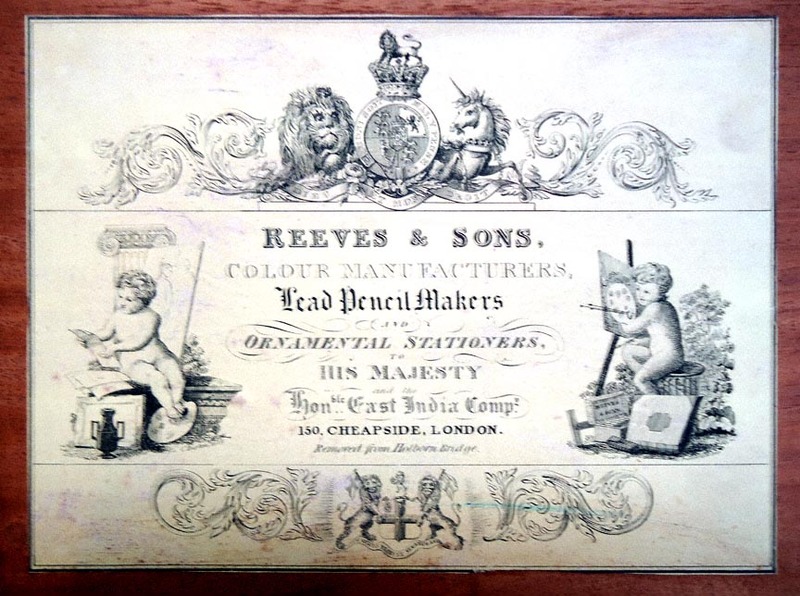 Probably a different reeves company than the Paint makers.